Cancer is a complex health challenge that no single organization can address on its own. Together with Canada’s cancer community, the Canadian Partnership Against Cancer is enabling a coordinated approach to reducing the cancer burden on Canadians, with a focus on achieving measurable and concrete outcomes by. The advice, input and expertise from individuals and groups serving in the Partnership’s advisory capacities are critical to ensuring the ongoing relevance and ultimate success of the cancer community’s collective efforts. Bringing a range of perspectives, members of the Partnership’s advisory bodies – the Partnership Cancer Control Council and various Advisory Groups – provide crucial strategic and operational leadership, guiding the Partnership in its work. The Partnership Cancer Control Council, chaired by the Vice-President, Cancer Control, meets quarterly, drawing together the experience and knowledge of the organization’s Vice-Presidents, Senior Scientific Leads and Expert Leads. Senior Scientific Leaders, recognized authorities in their respective areas and affiliated with other organizations active in cancer control, offer vision and oversight, working with staff and partners to leverage expertise, synthesize efforts and identify synergies across initiatives within their portfolios. Expert Leads bring a depth of knowledge in their particular area of expertise, enabling them to spearhead efforts on the Partnership’s key initiatives. As a collective body, this group provides advice and counsel across the organization, supporting the implementation of strategic initiatives and driving the work forward. Heather Bryant, MD, PhD, CCFP, FRCPC, joined the Partnership in January 2008 from the Alberta Cancer Board, where she was Vice-President and Chief Information Officer and Director of the Division of Population Health and Information. At the Alberta Cancer Board, she was responsible for the cancer registry, screening and prevention programs, as well as an active research unit in cancer epidemiology and prevention. In addition, she led electronic health record implementation. Dr. Bryant studied medicine at the University of Calgary and took her first residency certification in family medicine. She followed this with a fellowship in community medicine and a PhD in epidemiology, also at the University of Calgary. Dr. Bryant joined the Alberta Cancer Board in 1990. Before that she was a faculty member at the University of Calgary while also a Medical Officer of Health in the Drumheller Health Unit. Dr. Bryant was elected to the Union for International Cancer Control (UICC) Board of Directors in 2012 and was re-elected in 2014. 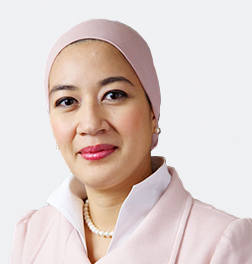 She co-chaired the scientific program committee for UICC’s World Cancer Congress held in Montreal, Quebec in 2012 and in Melbourne, Australia in 2014. Dr. Bryant has also been active on many national committees and chaired the National Committee for the Canadian Breast Cancer Screening Initiative (Health Canada), the Joint Advisory Committee on Cancer Control (National Cancer Institute of Canada) and the Population Health Committee (Medical Research Council). She was the inaugural chair of the Institute of Cancer Research’s Advisory Board (Canadian Institutes for Health Research) and of the National Colorectal Cancer Screening Network. Dr. Bryant is also a Clinical Professor in the departments of Community Health Sciences and Oncology at the University of Calgary. Senior Scientific Leaders work with the Partnership by providing their thought leadership to an entire portfolio. Dr. Deborah Dudgeon is a medical oncologist who has focused her clinical practice predominantly in palliative care. In addition to her work at the Canadian Partnership Against Cancer, she is the Head of Palliative Medicine at Queen’s University and Kingston General Hospital. Dr. Dudgeon was the first Head of the Palliative Care Program at Cancer Care Ontario (from 2004 to 2010), where she was instrumental in implementing the Provincial Palliative Care Integration Project. 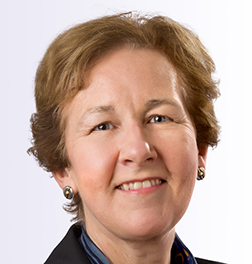 Dr. Dudgeon is the Chair of the Palliative Medicine Subspecialty Committee for the Royal College of Physicians and Surgeons of Canada. She is also a past-President of the Canadian Society of Palliative Care Physicians. 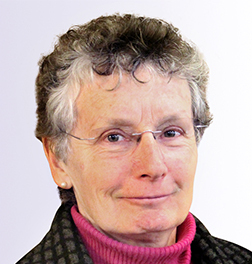 She has served as the co-chair of the Advisory Committee on Palliative Medicine for the Conjoint Training Program of the Royal College of Physicians and Surgeons of Canada, and the College of Family Physicians of Canada. She has also served as the co-chair of the Symptom Control committee of the National Cancer Institute of Canada Clinical Trials Group and as a member of the Advisory Committee on Research for the National Cancer Institute of Canada. Dr. Dudgeon received her MD from McMaster University. Dr. Dudgeon is known internationally for her research into dyspnea (shortness of breath) and was a mentor in the International Palliative Care Leadership Development Program funded by the Open Society Foundation, Center for Global Health National Cancer Institute and Princess of Wales Memorial fund. Experts Leads offers their thought leadership and expertise to the Partnership within a particular program area in a portfolio. 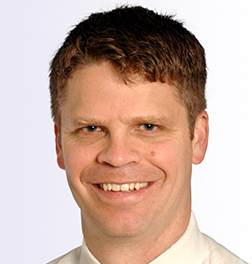 Dr. Geoff Porter is Expert Lead, Clinical Care. He previously served as the Partnership’s inaugural Senior Scientific Leader, Diagnosis and Clinical Care. 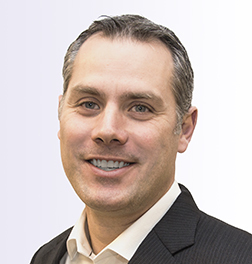 Serving in his Partnership role on a part-time basis, Dr. Porter is a Professor of Surgery and the Ramia Chair in Surgical Oncology at Dalhousie University. He also serves as Director of the Cancer Outcomes Research Unit in Halifax, where he has worked to generate standard research metrics in the forms of publications and grants, as well as significant knowledge translation and exchange activities, resulting in tangible clinical change. In the past, he has served as the Head of the Cancer Care Program in Halifax, as well as the Chair of Surgical Quality Control for the Radiation Therapy Oncology Group (RTOG). Dr. Porter studied medicine at Queen’s University in Kingston, Ontario and also holds a Master of Science in medical sciences, specializing in epidemiology, from the University of Alberta. He trained in Surgical Oncology at the MD Anderson Cancer Center in Houston, Texas. Over the past several years, Dr. Porter has participated in several Partnership initiatives, working groups, steering committees and reports, notably as Clinical Lead for breast cancer surgery in the Synoptic Reporting Tools Project. In addition, he acted as Chair of the Electronic Synoptic Surgery Quality Initiative which has led to the doubling of surgeons using synoptic reporting tools with a focus on using the results to further cancer control. He also led the Partnership’s submission for the Choosing Wisely Canada oncology list of recommendations to identify low-value or potentially harmful practices, contributing to landmark recommendations for the cancer control community. Dr. Christian Finley is Expert Lead, Clinical Measures at the Canadian Partnership Against Cancer. In this role he provides content-specific advice and expertise on improving the quality of surgical oncology, as well as using Geographic Information Systems spatial mapping techniques to map system performance in cancer control in Canada. Dr. Finley is a thoracic surgeon with clinical expertise in lung and esophageal cancer, patient education improvements and regionalization efforts. Since 2010, he has practiced at St. Joseph’s Healthcare Hamilton and is currently appointed as an Associate Professor in the Department of Surgery (Division of Thoracic Surgery), McMaster University. He is also the Research Chair for the Canadian Association of Thoracic Surgeons, where he has the opportunity to lead quality improvement projects on a national scale and encourage multi-institutional collaborations. Dr. Finley has been associated with the Partnership since 2012, collaborating on several fronts including the National Initiative for a Synoptic Operative Report in Lung Cancer, Electronic Synoptic Surgical Quality Initiative and leading the team that produced a discussion paper funded by the Partnership on approaches to high-risk, resource intensive cancer surgical care in Canada released in November 2015. This important study provided objective analyses and discussion about the considerations for the conduct and organization of esophageal, pancreatic, liver, lung and ovarian cancer surgery in Canada. Dr. Finley trained in General Surgery at University of British Columbia and completed his thoracic surgery training at the University of Toronto. He also has a Masters of Public Health from Harvard University. Dr. Paul Grundy joined the Partnership as Expert Lead, Pediatric, Adolescent and Young Adult Oncology in 2016. Dr. Grundy has been on the faculty of the Department of Pediatrics at the University of Alberta since 1988 and is currently a Professor of Pediatrics and Oncology. Previously, Dr. Grundy was Senior Vice President and Senior Medical Director with CancerControl Alberta, a division of Alberta Health Services. He has been a pediatric oncologist in Edmonton for over 20 years, and was Director of Pediatric Hematology and Oncology at the University of Alberta from 1999-2010. He was a founding member of C17, a national network of childhood cancer centres in Canada, and served as the first Director of the C17 Research Committee. He subsequently served as the network’s chair from 2006-2011. Dr. Grundy’s research focus has been on Wilms tumour of the kidney, a common childhood cancer, spanning the spectrum from basic molecular biology to translational research and clinical trials. A legacy of his research program is the childhood renal tumours tissue bank which harbors a variety of specimens from over 6,000 patients and is available to researchers worldwide. He has served as the Chair of the National Wilms Tumour Study Group and as Chair of the Children’s Oncology Group Renal Tumours Committee. Dr. Grundy received his medical degree from the University of Alberta and did post-graduate training in New Zealand and Edmonton. He also completed a fellowship in pediatric hematology oncology at the Children’s Hospital of Philadelphia. Dr. Angel Arnaout is Expert Lead, Knowledge Mobilization, Practice Change. In this role, she provides expertise on using knowledge translation and implementation science to mobilize evidence-based guidelines and best practices at the front line and the system level of cancer control across Canada. 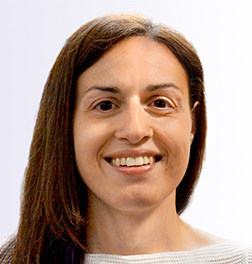 Serving in her Partnership role on a part-time basis, Dr. Arnaout is a Breast Surgical Oncologist at the Ottawa Hospital, Associate Professor at the University of Ottawa and Associate Scientist at the Ottawa Hospital Research Institute. As the Regional Director, Breast and Quality Lead, of the Champlain LHIN, Ottawa Region, she oversees the quality of breast cancer care for nine regional hospitals, focusing on access, efficiency, effectiveness, patient experience, and equity of care. Dr. Arnaout is also the Canadian National Fellowship Director in Oncoplastic Breast Surgery, training numerous practicing surgeons every year in the latest advanced breast surgical techniques that focus on improving both cancer and esthetic outcomes for breast cancer patients. Dr. Arnaout is also a member of the Cancer Care Ontario Breast Cancer Advisory Board, where she participates in mobilizing high-quality cancer care across all hospitals in Ontario and Canada. She is a recipient of the Federation of Medical Women of Canada Enid Johnson MacLeod Award, Cancer Care Ontario Human Touch Award, Order of Ottawa, and multiple Ottawa Hospital Guardian Angel Awards for her dedication to breast care and women’s health in Canada. Dr. Arnaout trained in General Surgery at Dalhousie University and completed her Breast Surgical Oncology training at the University of Toronto. She is also completing her Global Executive MBA from the University of Toronto. Dr. Claire de Oliveira joined the Canadian Partnership Against Cancer as Expert Lead, Cancer Economics in 2016. In this role, she develops health economics expertise within the Partnership and supports efforts to deepen the capacity to quantify the burden of cancer and assess the economic impact of a coordinated, pan-Canadian approach to cancer control. She also works across cancer control initiatives to quantify efficiencies and support efforts to improve the sustainability of the cancer control system. Dr. de Oliveira is also a member of the Partnership’s Analytic Capacity Building Committee. Dr. de Oliveira is a health economist at the Centre for Addiction and Mental Health; an assistant professor at the Institute of Health Policy, Management and Evaluation at the University of Toronto; and an adjunct scientist at the Institute for Clinical Evaluative Sciences. Her main areas of cancer-related research include the development of costing methodology, the use of administrative health care data to measure health services utilization and costs, and the assessment of value for money in cancer care. Dr. de Oliveira holds membership with the Canadian Centre for Applied Research in Cancer Control and is one of the program leads for Health Technology Assessment. In addition, she is a collaborator at the Toronto Health Economics Technology Assessment Collaborative. Dr. de Oliveira holds Masters of Arts and Doctorate degrees in economics from McMaster University. She also holds a licentiate degree in economics from the University of Oporto in Portugal. The First Nation, Inuit and Métis Advisors provide advice and guidance regarding the Partnership’s work with First Nations, Inuit and Métis. Lea Bill is Cree and originates from the Pelican Lake First Nation in Saskatchewan. Lea is a Registered Nurse and the Research and Oversight Engagement Project Manager at Alberta First Nations Information Governance Center. Lea is also the President of the Canadian Indigenous Nurses Association (C.I.N.A.). She has served as a Board Director for Aboriginal Nurses Association from 1990 -1994 and as President from 1994-1999. As a Traditional practitioner, Lea applies an integrated approach to her practice combining her Indigenous knowledge with her nursing knowledge, bio-energy sciences and the research field. Lea has been leading people in native spiritual discovery processes for more than 25 years through ceremony, vision quests and teaching the beauty and the wisdom of indigenous technology, specifically the use and application of circle knowledge and natures wisdom. 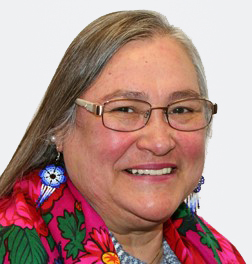 With more than 30 years of experience working in the health field in Community Health and Home Care, Lea continues to advocate for health equity for First Nation, Inuit and Métis peoples. Her nursing career has provided the opportunity to work in many First Nation communities, including the Northwest Territories at the local and the national level. Gail Turner is Inuit, and a beneficiary of the Labrador Inuit Land Claim. 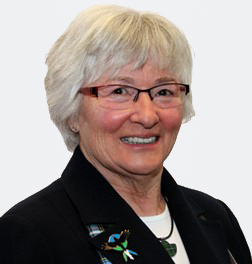 She retired in 2012 from the position of Director of Health Services for the Nunatsiavut Government, Northern Labrador. She holds a Bachelor of Nursing degree from Memorial University of Newfoundland, a Master’s of Adult Education from St. Francis Xavier University, and many additional certificates in health and administration through distance programs. 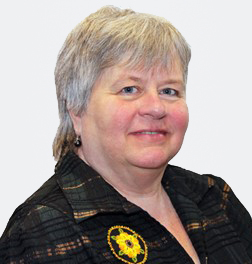 Her early career was spent in acute care nursing in Ontario and the United Kingdom. For the last twenty- six years she has been working in Labrador with Inuit, Southern Inuit of NunatuKavut, settlers, First Nations, and since 2004 exclusively with the Inuit. She has presented on Inuit health at provincial, regional, national and international meetings and symposiums, including the World Cancer Congress in 2011. Her work has been focused in public health but she has also managed remote community clinics and continuing care. She is passionate about the North and the need for First Nations, Inuit and Métis to be heard and truly engaged in the planning of their health care and the promotion of optimal health. Her growing interest is in health equity and the pressing need for innovative and community-based solutions for bringing health care service to the people. Gail has served as the Indigenous Director on the Board of the Canadian Partnership Against Cancer. She is a recent recipient of the Labradorians of Distinction Award for services to health and community. As a senior she has a growing interest in senior wellness, access to appropriate home care and long- term care when needed and ageing in place. Susie is a proud Métis Citizen of Métis Nation British Columbia and a dedicated representative of her region and communities. Susie has been serving her region and Métis communities as the Métis Nation British Columbia Northwest Regional Director since 2012. She also serves as the Minister of Health and Minister of Employment & Training with the Métis Nation British Columbia. Prior to this, Susie held the position of the Métis Women’s Regional Representative. Susie’s tireless support and efforts through her volunteer work with and for her communities has been recognized by the Mayor of Smithers, BC, His Worship, Taylor Bachrach when she received the Citizen/Volunteer of the year award in 2016, at the Smithers Chamber of Commerce Community and Business Awards 2016. Expert Advisors work with the Partnership by providing their core areas of expertise and advice on certain projects the Partnership is engaged in. A foundational piece for the Partnership has been its reliance on advisory bodies to foster collaboration and deepen the involvement of a cross-section of cancer and health system experts, clinicians, health care providers, patients and families across the organization. Advisory groups and committees have existed since 2007 as a collaborative network of volunteer experts, patients, and public representatives established to advise the Partnership in each of its cancer control priority areas; traditionally aligned with the cancer control domains; population health, research, person-centred perspective and diagnosis and clinical care. Building on our learnings, progress, and successes in the first decade of the Strategy, the strategic plan is grounded in five themes; quality, equity, seamless patient experience, maximize data impact and sustainable system. Cancer Care Ontario (Clinical Advisor Smoking Cessation)/ President, Oncosynthesis Consulting Inc. Retired. Formerly Director of Provincial Services Branch; Public Sector Management training, University of Manitoba. Founder and Executive Director, Partnership and Development, The VOBOC Foundation; Active with Partnership since 2013; former Chair of the Person-Centred-Perspective Advisory Group and a Committee Member of Cancer Control Council. Head, Provincial Radiation Oncology Service; Radiation Oncologist, PEI Cancer Treatment Centre; Chair, PEI Provincial Cancer Coordination Steering Committee. 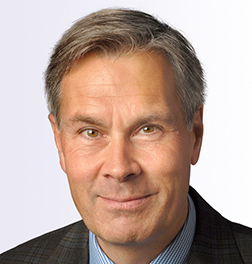 Head of Cancer Control Research and Distinguished Scientist, BC Cancer Agency; Professor and Leslie Diamond Chair in Cancer Survivorship, Faculty of Health Sciences, Simon Fraser University; Co-Director, Canadian Centre for Applied Research in Cancer Control (ARCC). Professor of Medicine, Dalhousie University; Medical Oncologist, Queen Elizabeth II Health Sciences Centre (Halifax, NS). Chief, Sagkeeng First Nation. Previous Sagkeeng Band Council member. Former Educational Administrator in Manitoba, Saskatchewan, and Alberta. Graduate Diploma in Education Administration. Community Employment Specialist, East Scarborough Storefront. Post-Graduate Certificate in Community Organizing and Advocacy. Professor, School of Public Policy and Governance, University of Toronto. Former President of the Institute for Research on Public Policy. Officer of the Order of Canada.